I have created a Project but don't know how to create a job. New jobs are created from the "Projects" table, accessible from the Ribbon in the "Projects" tab. 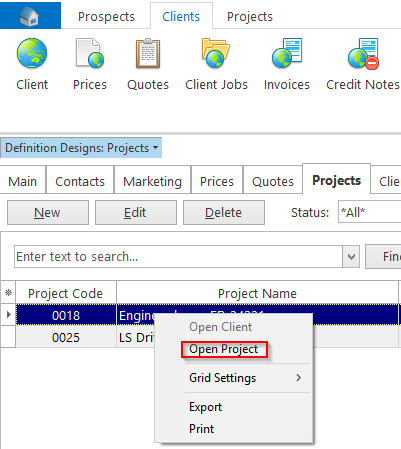 You can also right-click the newly-created project in the Client table and select "Open Project".